The name C3 Complex refers to the three main chemical compounds that this complex contains (Curcumin, Demethoxycurcumin, and Bisdemethoxycurcumin) collectively known as Curcuminoids. 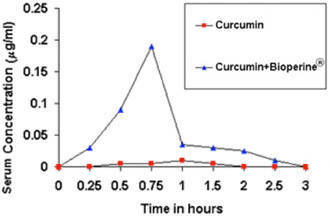 Curcuminoids are the most potent compounds in turmeric. They are the active ingredients in the root that offer up all the incredible health benefits that turmeric is known for.